Summer season is about to come and heat will kill us, and all basic cooling equipment such as fans is not much capable to beat the heat. Heavy duty Air conditioners are not cost-effective than domestic air coolers available in the market nowadays. If you are willing to buy cooling equipment, some there are some basic things you need to check, the first thing is your cooling area, second the budget you are going to spend for the equipment. Today there are lots of manufacturers are providing Air Coolers, and it can be classified in dessert air coolers, portable air cooler, and evaporative air cooler. Why You Should Install Industrial Air Coolers? Every business manufacturing plant generates more heat waves which can be generated from casting machinery, heavy motors, computers etc. Reduction of this kind of heating should be controlled or decreased, How you can do that? 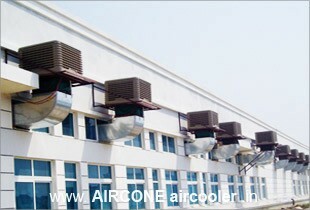 Nowadays, Industrial Air Cooler is very necessary to install in your factories, godowns, production line, garages etc. Industrial Air Cooler also called as Evaporative Air Cooler controls the heat & it also can be reduced overall temperature in your area. Evaporative Coolers can reduce temperature by evaporation of a liquid, and these evaporative cooling system is being installed in every domestic industrial air coolers. These Air coolers reduce temperature naturally wherever you have installed the coolers. Overall Industrial Air Cooler can generate more productivity so you should choose coolers wisely to beat the heat.